Synopsis: A man looks to find a way to escape his criminal, outlaw family. For his first feature, director Adam Smith with a script by Alastair Siddons brings this story of three generations of the notorious Cutler family who live as outlaws in the Cotswolds, the heart of Britain’s richest countryside. Based on a real family – as Adam Smith told an audience at the recent Glasgow Film Festival – the Cutlers live by their own rules, practising their own way of life—poaching, pilfering and provoking the police. 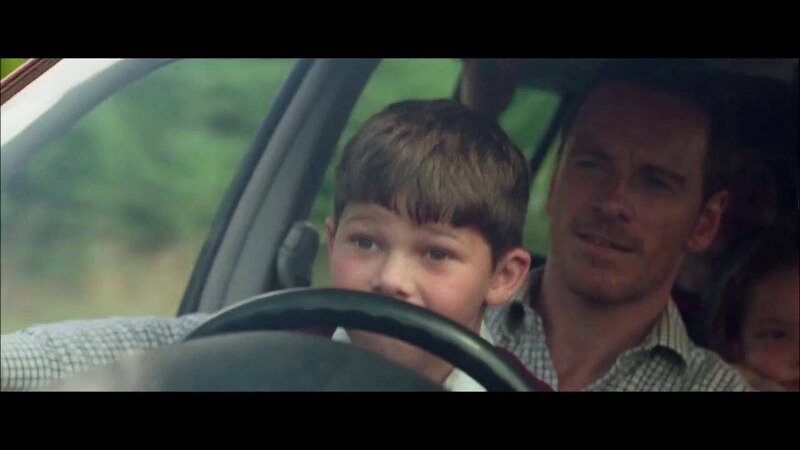 Chad (Michael Fassbender) finds himself torn between respect for his archaic father, Colby (Brendan Gleeson), and a desire to forge a better life for his children. When Colby coerces him into a major robbery one night, Chad is faced with a choice that will change his life forever. Should he follow tradition and do his father’s bidding as his rightful son and heir, or should he break the chain and set out on a new path? The dark, fatalistic mood is leavened by black comedy and powerhouse perfomances from Fassbender and Gleeson as they go head to head. With a strong backing ensemble Trespass Against Us is a competent and enjoyable film although the authentic West Country slang – clearly deeply researched by Alex Simmons – can be at times impenetrable.